Are you looking for a Staten Island web design company, or a NYC based web development company? Well you found the best NYC based web development and marketing company providing affordable, effective services since 2004. > More than just an appealing design, developing a successful web site implies the use of the best design techniques and web programming. As a full service provider, we offer: website design, website development, online marketing, SEO, maintenance and support. We provide the most affordable web design service in NYC. Right now get your business website designed for only $200 dollars! Our web design is attractive and creative, in total harmony with your company and products / services you´re offering. A custom web design, SEO content and the best web programming will give you results that will attract more quality traffic to your web site and make your investment worth every penny. 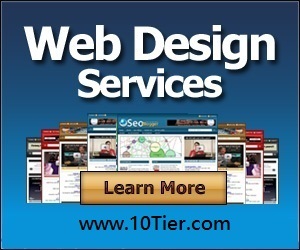 10Tier.com can help you with all aspects of your online and offline marketing needs. Our creative web and graphic designers can help you get noticed, and our content strategists can help you create the messages that produce the outcomes you desire. Call us toll free at 1-800-543-1276 and learn how we can help you dominate the competition on Staten Island! We are your Staten Island web design company.